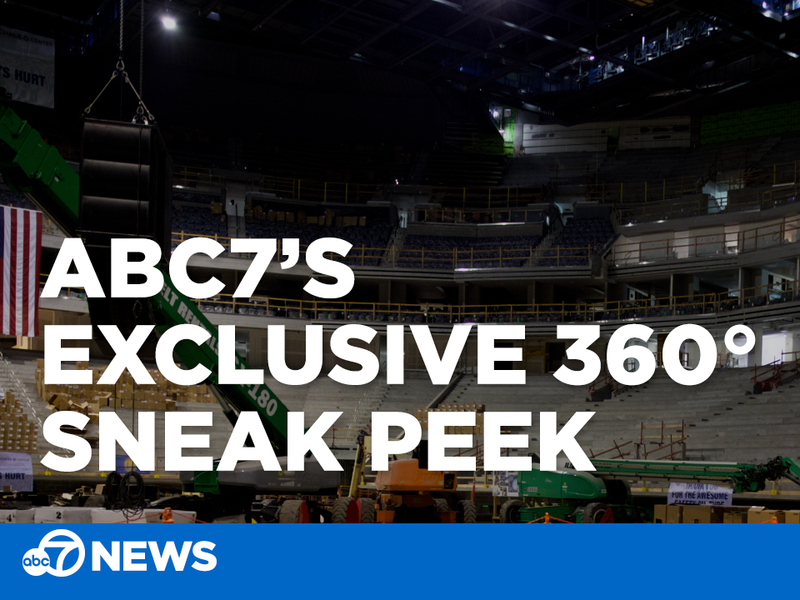 ABC7's "After The Game" show produced the first live telecast ever from the Golden State Warrior's new home ground at the new, billion-dollar Chase Center! Larry Beil gives us a 360 look at what the arena looks like from lower bowl and the court where Stephen Curry, Klay Thompson and the rest of the team will be draining threes. The 360 video must be played using a Chrome or Firefox browser on desktop. App and mobile users: Check out the YouTube app for a true 360 experience. Take a look at more stories and videos about the Golden State Warriors.